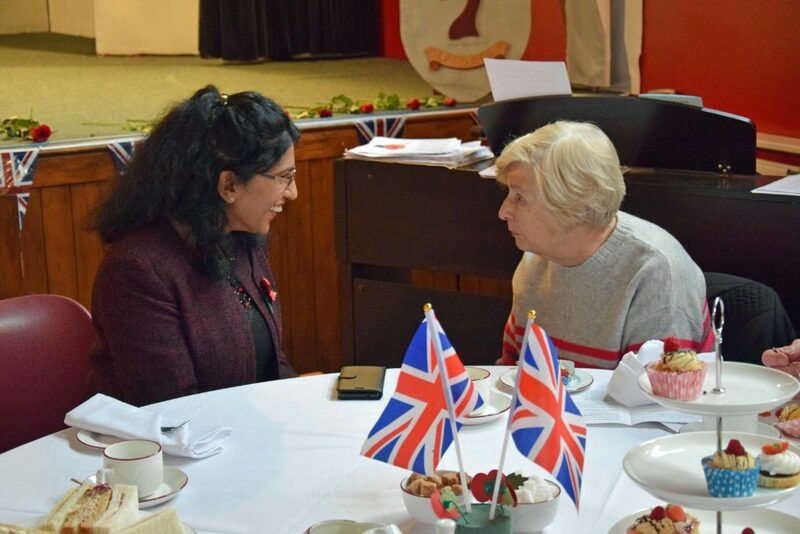 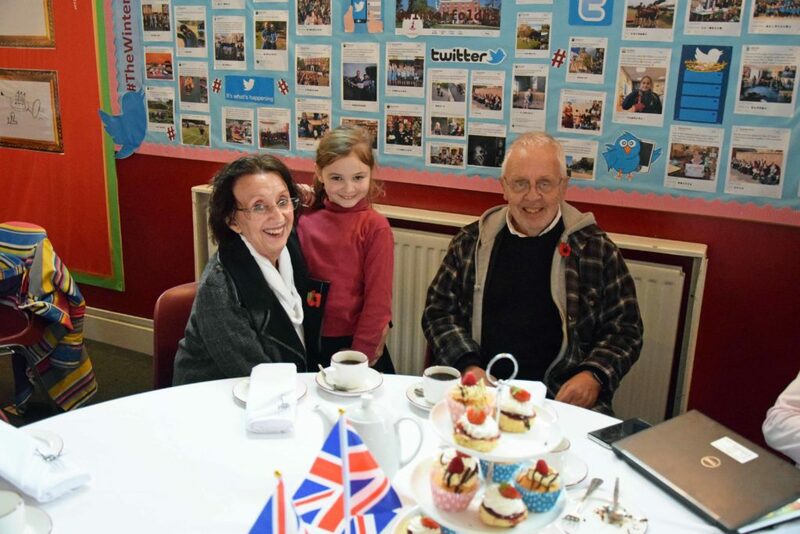 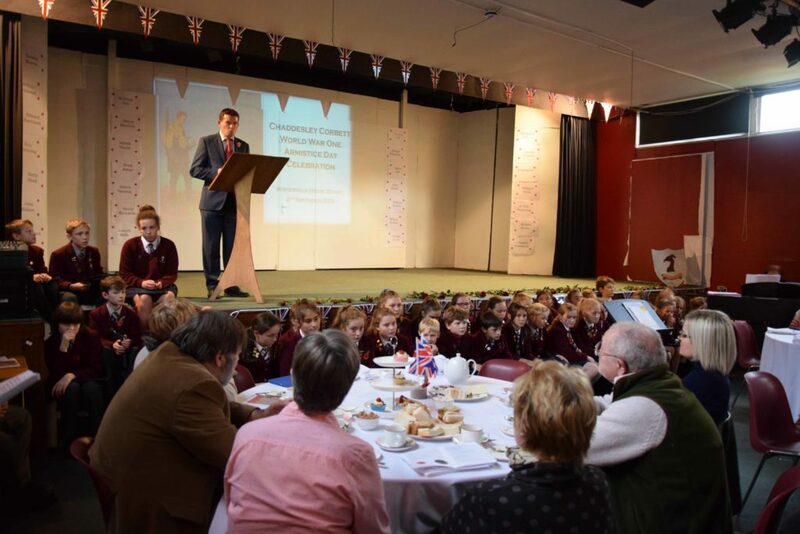 Chaddesley Corbett village came to Winterfold on Thursday 8th November to commemorate those who lost their lives in WW1. 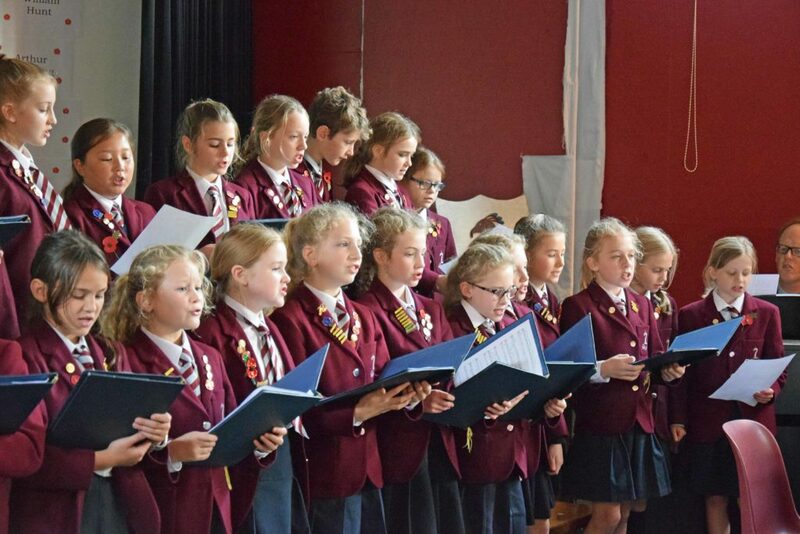 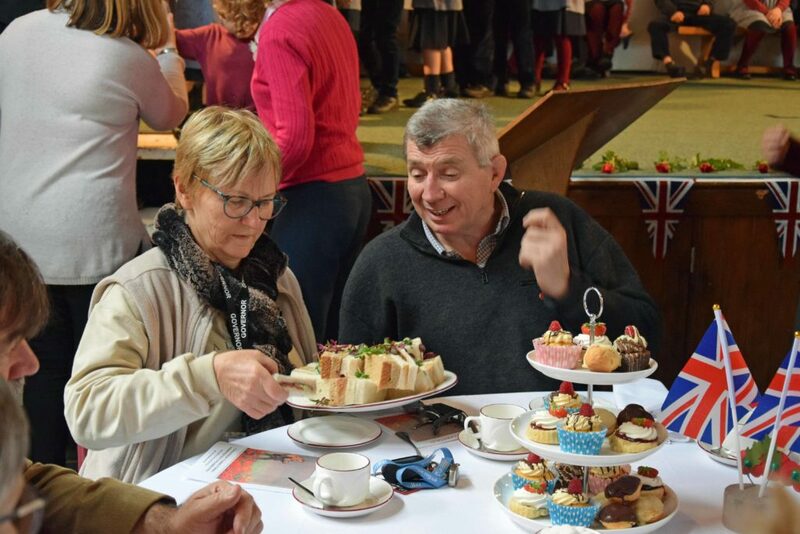 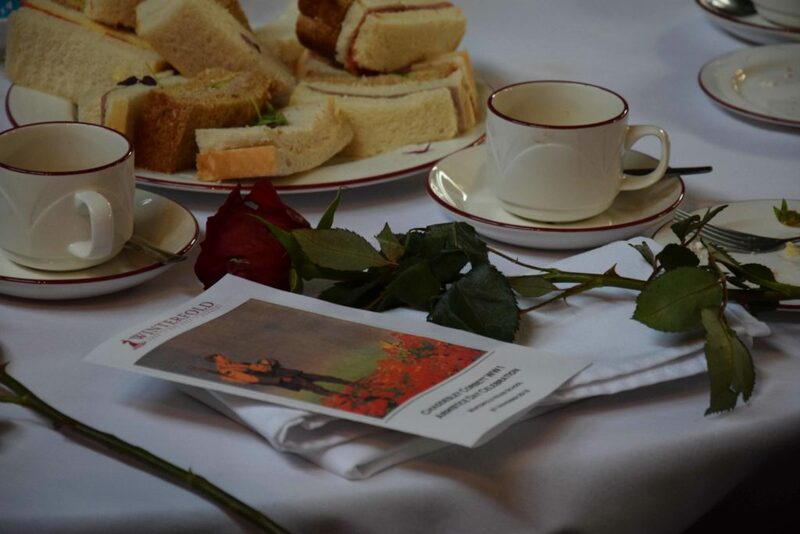 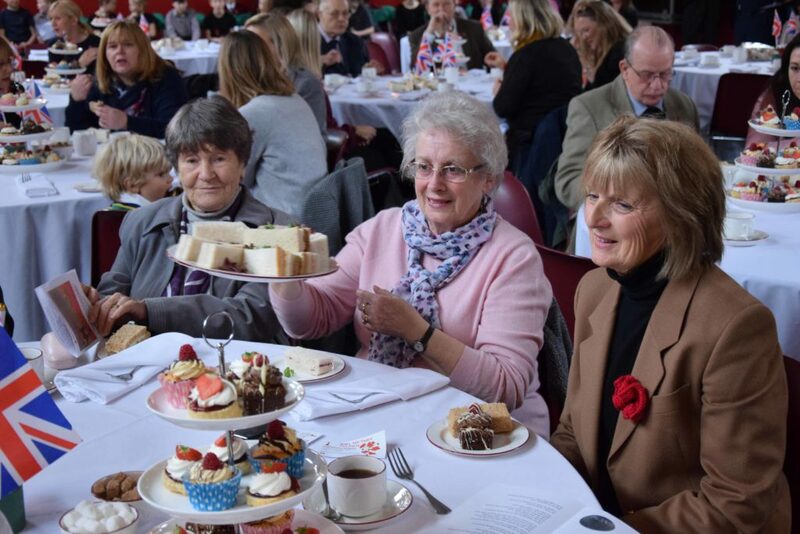 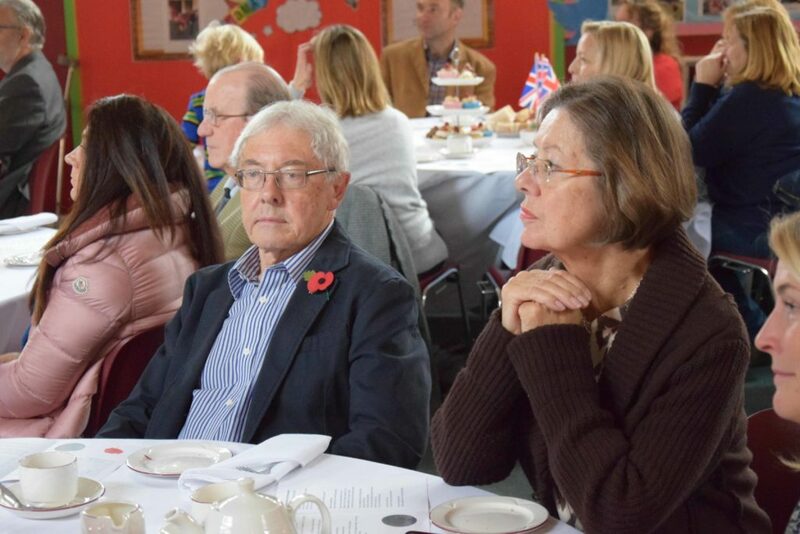 Guests enjoyed afternoon tea, with uplifting songs by the Pre-Prep Choir, Pack Up Your Troubles and It’s A Long Way to Tipperary. 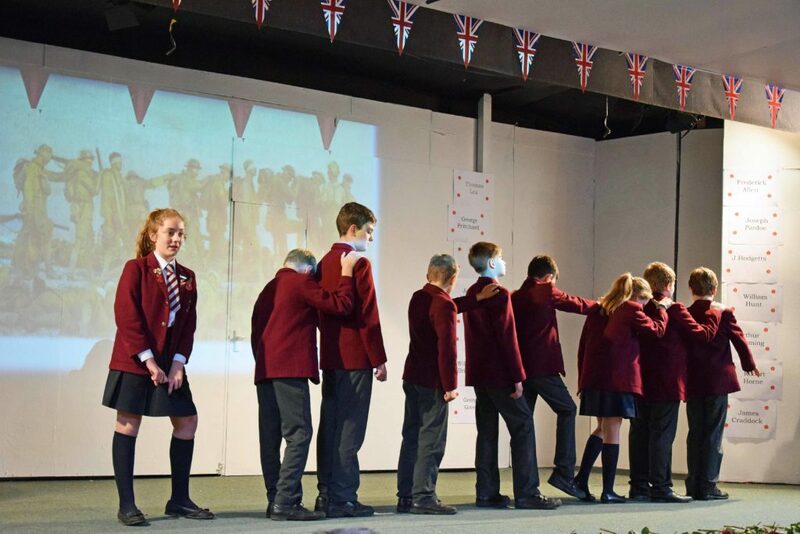 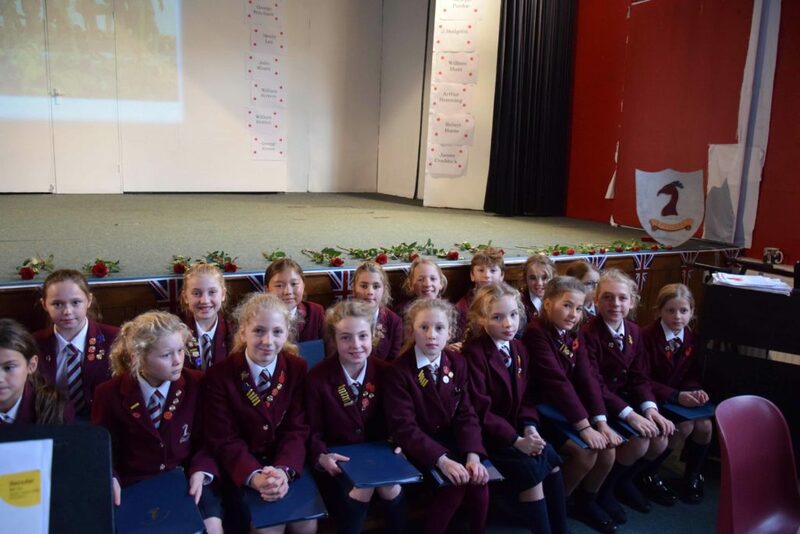 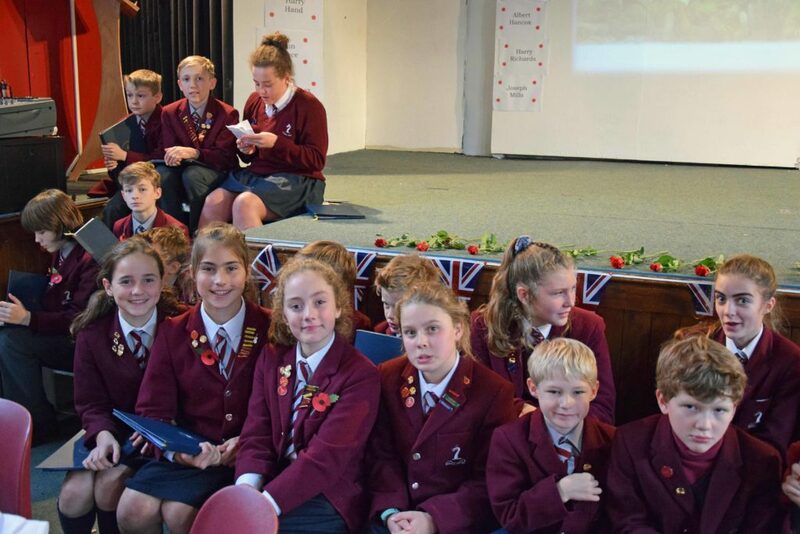 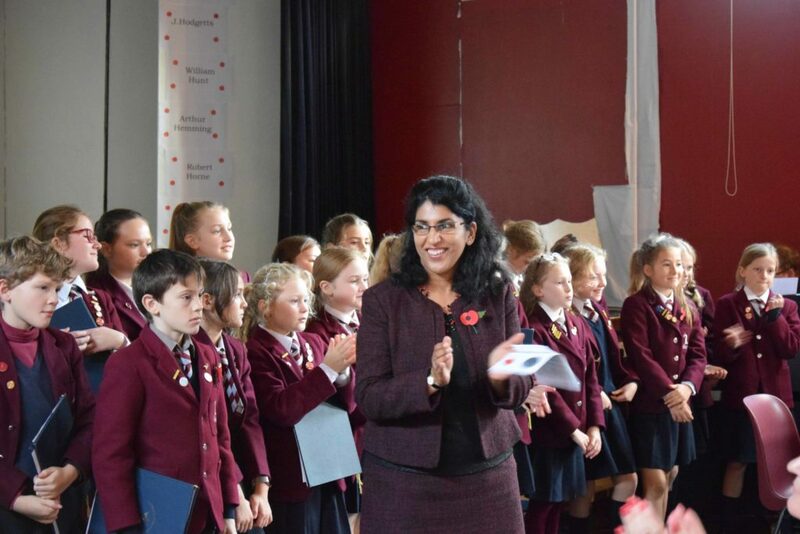 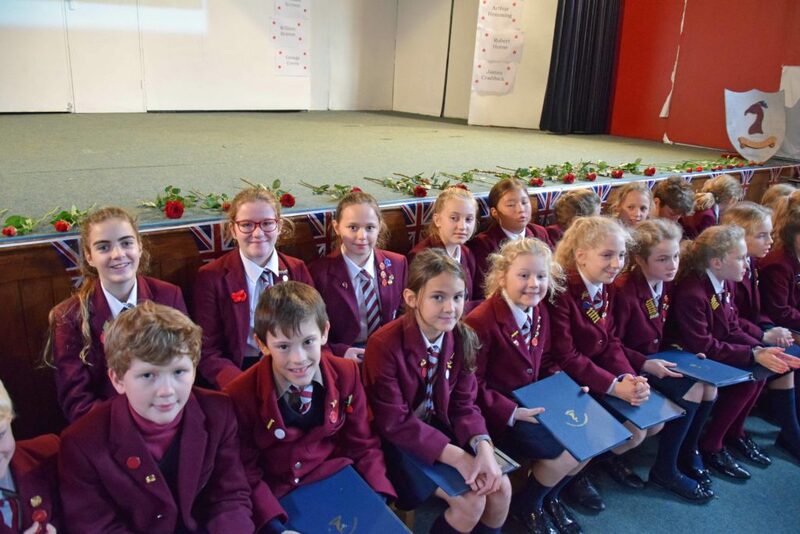 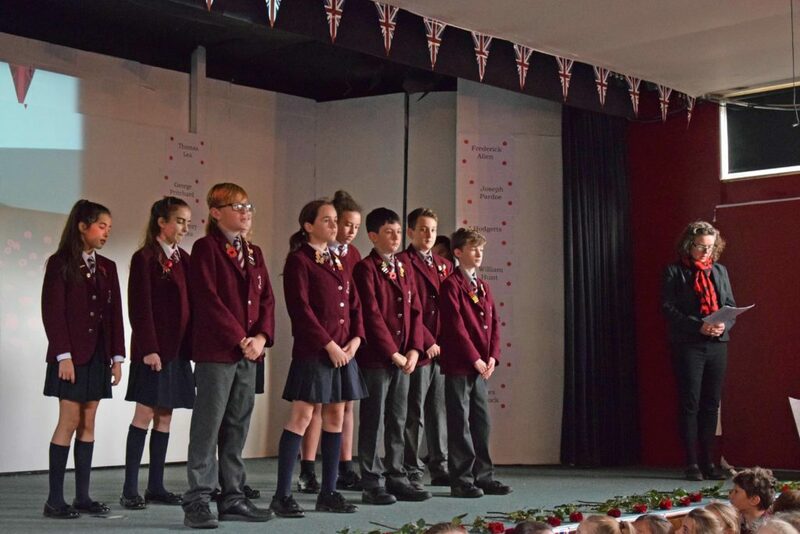 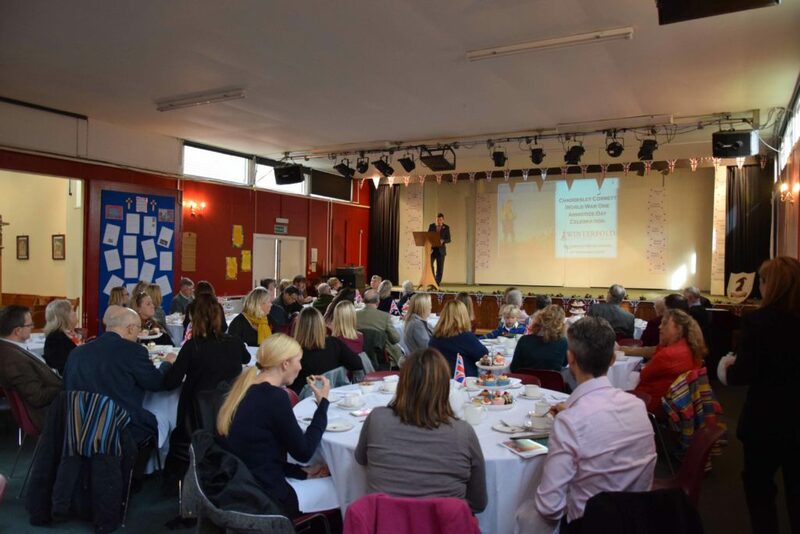 We were treated to historical facts including information about the fallen ‘Boys on the Board’ by Compère and Head of History Mr Dieppe and very moving drama pieces – Band of Brothers by the Year 5 and 6 drama group, followed by an incredible violin performance of Elgar by Rosie B. 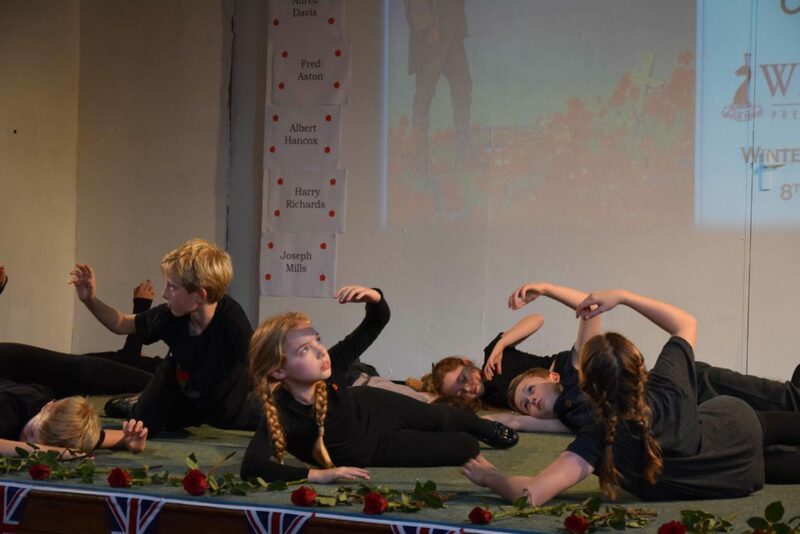 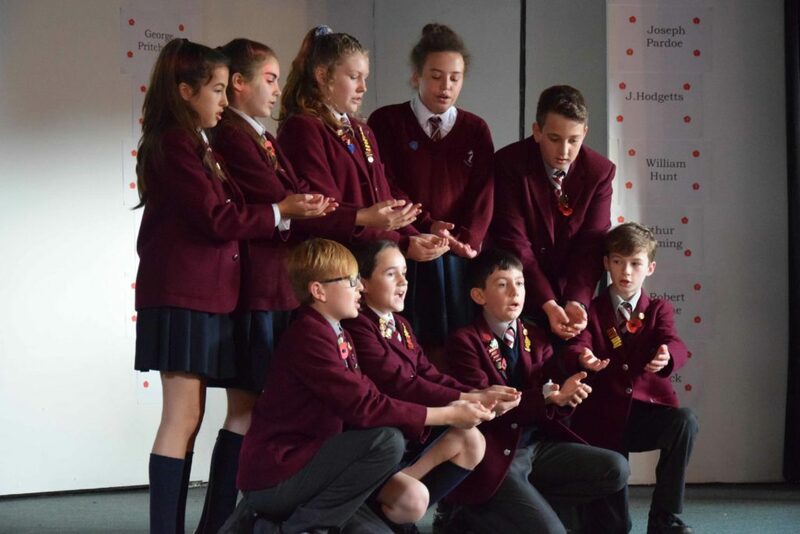 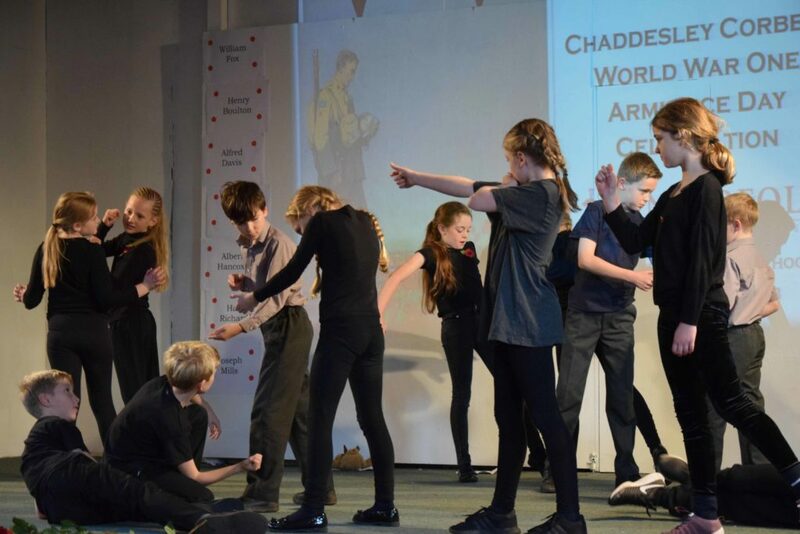 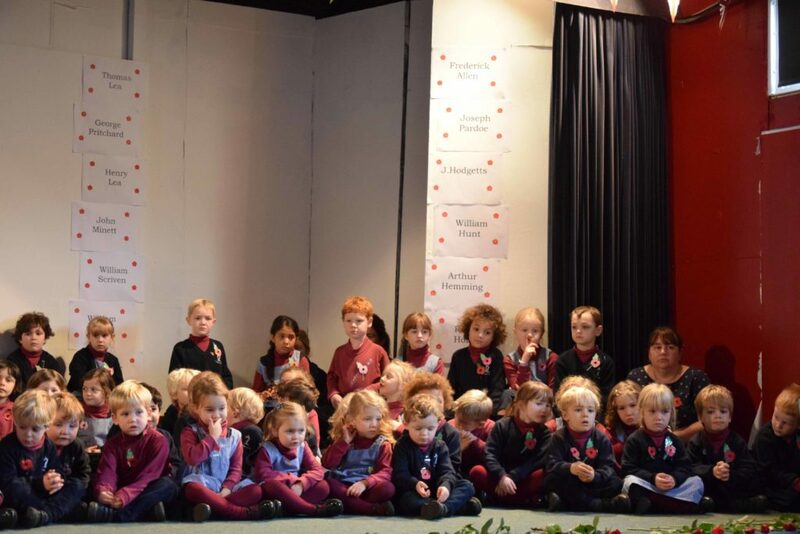 During a poignant Flanders Fields by the Year 7 and 8 drama group, Mrs Miles read out the list of fallen Old Winterfoldians. 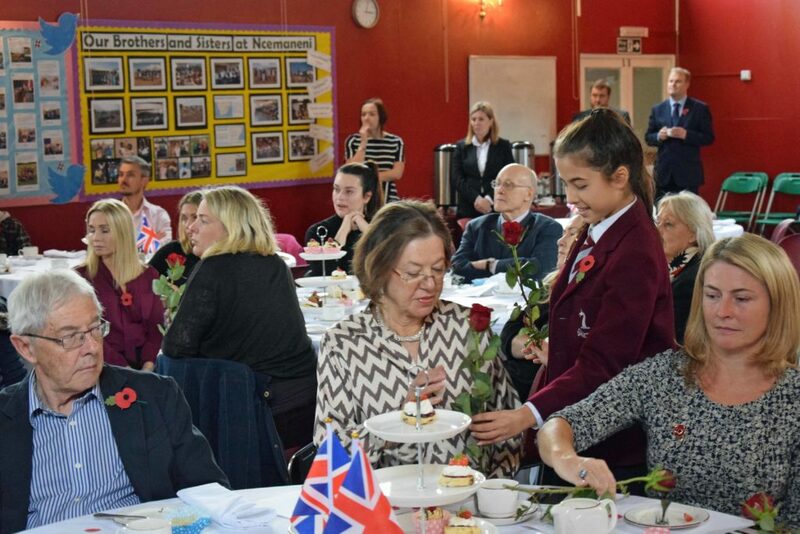 Click here https://youtu.be/pQd-h7KrHN8 for video highlights from the afternoon.